Liquefied gas like LPG, Propane or Butane demonstrates out gassing effects as soon as the pressure falls below the vaporization pressure of the gas. These vapour locks would cause fail-measurements in the flow meter. 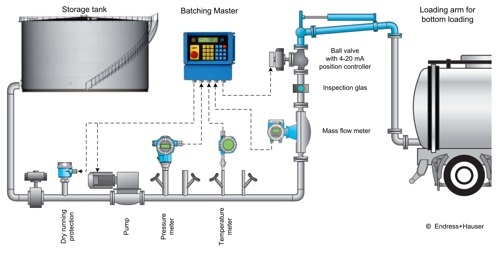 The override controller function of the Batching Master keeps the pressure during the batch. The 25-step linearization function of the Batching Master delivers the right pressure set point depending on the actual temperature signal. 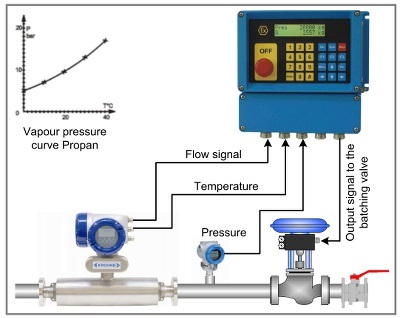 A parallel PID flow controller function is also available.